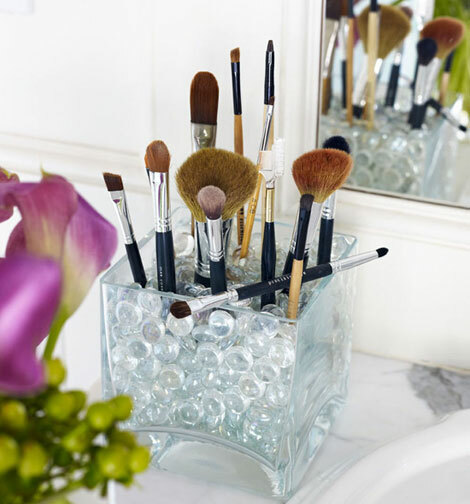 Place plastic water bottle inside square vase, centering it. 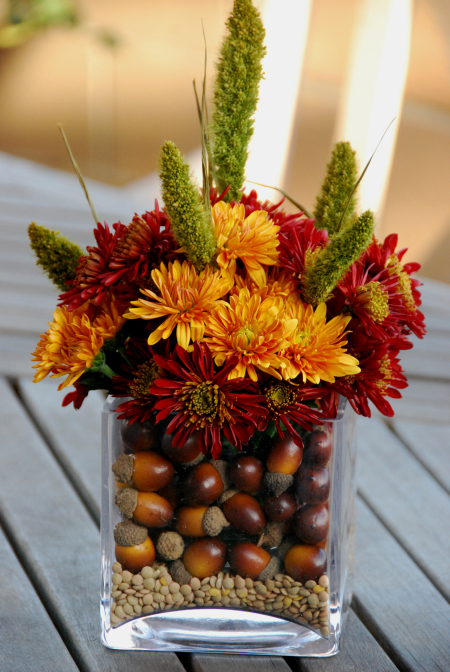 Fill square vase with acorns around water bottle to determine proper height, mark. 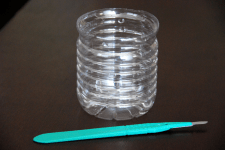 Remove plastic bottle and use Exacto knife to cut water bottle to marked height. Smooth cut edges with scissors, if need be. Center the cut bottle in square vase again, this time filling lower 1/2 inch or so of square vase with dried lentils to stabilize plastic container. 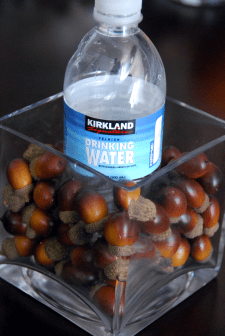 Fill acorns around plastic bottle, making sure there are no gaps where the plastic bottle can be seen. 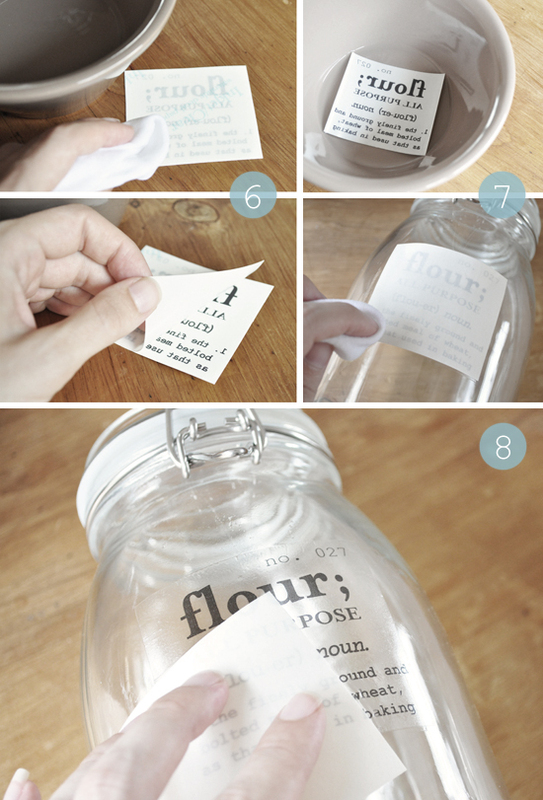 Fill bottle with water and arrange cut flowers. Amongst other things, I mentioned how wonderful they are for creating custom embellishments without the need for any fancy pants equipment. Yep, waterslide decal paper is a truly fab product, though as great as it is, there is one drawback – although it’s somewhat tough it’s not especially durable. 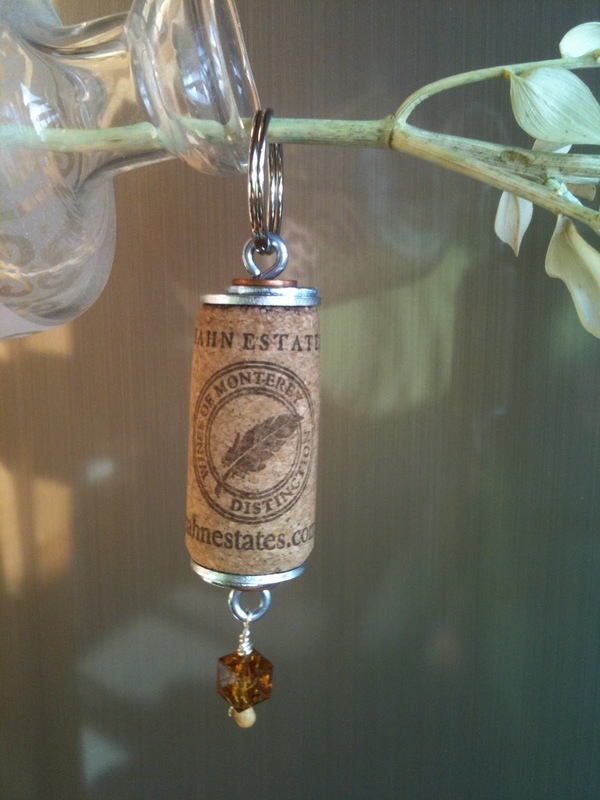 So, whilst it’s perfect for ornamental purposes, it’s not ideal for more practical applications….until now that is! Magic decal coating paper is a product designed to be used in conjunction with standard decal paper to make the finished transfers durable – yes, even dishwasher resistant! My recently aquired assortment of SLOM jars from IKEA were awaiting some DIY craftiness and seemed the perfect victims candidates for my first magic decal experiment. 1. Image to transfer. Use anything you like. I made up my canister labels in Photoshop. I wanted them to be a bit different and quite typographic so decided to style them based on dictionary definitions (my artwork is attached as a free printable if you would like to use them – see the ‘At a Glance’ section at the end of the post to view and download!). 3. Decal paper (blue watermark on back). Decal paper comes in clear or white. I’m using the clear paper because I want a transparent background around my image. 4. Magic paper (attached translucent protective paper). 5. Laminator. 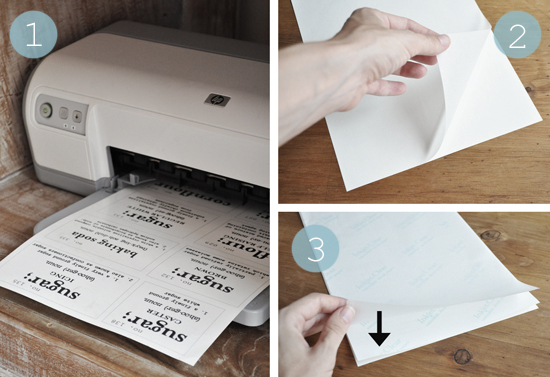 Basic laminators can be bought for around $20 from most office supply and department stores. 9. 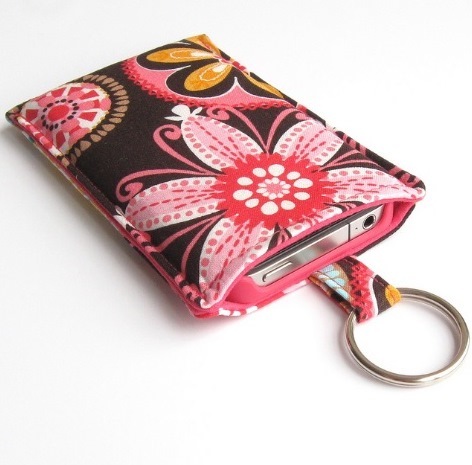 Item to embellish. As already mentioned, I’m using my plain SLOM jars from IKEA. 10. Microwave, oven or hairdryer. 1. Print your image onto the glossy side of your decal paper (DO NOT mirror your image) using an inkjet printer. Allow to dry thoroughly. I created my canister labels in Photoshop and have attached them below as a free printable (see the ‘At a Glance’ section at the end of the post to view and download!). 2. Separate the translucent protective paper from the magic paper. Do not throw the translucent paper away. 3. Place the magic paper gloss side up on your table. Lay the decal paper printed side down on top of the magic paper. Place the translucent protective paper gloss side down on top of the decal paper (the translucent paper is designed to act as a protective barrier of sorts between the decal paper and laminator heat). 4. Laminate your stack of three papers together on low speed and at low temperature. Note: Laminating pouches are not needed. Laminating is performed to fuse the decal paper and magic coating together. Basic laminators can be bought for around $20 from most office supply and department stores. 5. Discard the translucent paper. Your decal paper and magic paper should now be fused together. Trim closely around your image – you can see it quite easily through the paper if you hold it up to the light. 6. Dampen the back of the decal paper (watermarked side) with a cloth until it becomes translucent. Wait around 15 seconds then gently peel the paper away completely. 7. Quickly immerse the decal in a shallow dish of water to dampen the other side then position it, image side down, on your item, smoothing it down with your fingers and a slightly damp cloth to remove excess water. 8. Carefully slide off the backing paper and manipulate the decal into its exact position then continue to smooth it until it is water and air bubble free. As I mentioned, there is a very faint translucent background (which is the case with waterslide decals) though once the canisters are filled it’s barely noticeable. And excitingly, along with the PDF file, you can also now download the free PSD version of my labels below! Enjoy! 3. Pick your spray paint choices: Seen above is Satin Ivory. I Use Krylon Brand Spray Paint. 4. Spray paint box carrier too! Some spray painting tips… Cover area with newspaper or drop cloth first. Wear a mask or be careful not to inhale fumes. Don’t spray into the wind!!! Wait for your first layer to dry and stick the bottle on your finger to get a good coat around the bottom sides. 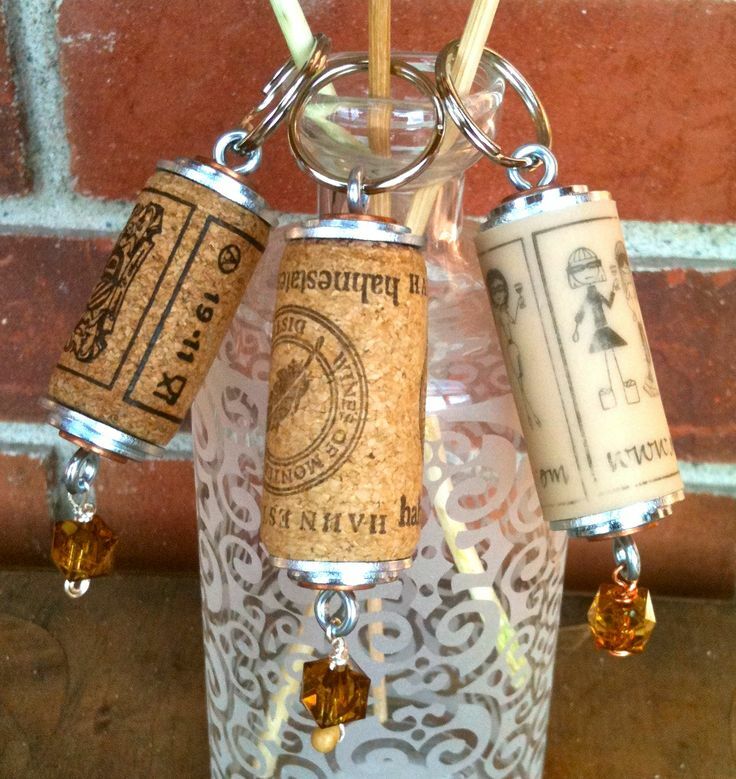 Aren’t these a cute, cheap project? I usually like matte finish, but the glossy texture on some of these gives them a nice new sheen. And baby jars make the cutest little mini vases or containers! I do have to note, these are not “safe” to use for any type of liquid consumption. They just look cool and won’t damage flowers or decorative pieces. Cute idea right? Especially on a budget! You could do this for wedding centerpieces, parties etc… I have spray painted wine bottles, vases, jars… you name it, I’ve probably painted it. Another idea for a centerpiece would be to take tons of different sized items and paint them one color and or have a line of vases down a table… you get the idea.